Attorney Search Network can refer you to a pre-screened San Diego lawyer. Our San Diego County network of panel attorneys is one of the largest and most extensive collections of pre-screened attorneys in Southern California. Select the practice area that fits your current legal need, from Bankruptcy to Wrongful Death, and we will provide you with a San Diego Lawyer Referral. 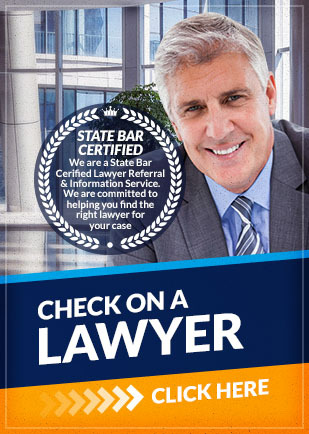 Attorney Search Network is a State Bar certified lawyer referral and information service serving San Diego County, and other counties in California. We prescreen our panel member lawyers. This way, you can feel comfortable and confident that any lawyer you are referred to through Attorney Search Network has the passion and expertise necessary to represent your interests successfully. The lawyers we work with are held to only the highest standards and are required to meet a minimum number of years of practice and trial experience and are required to carry malpractice insurance. This type of insurance protects you, the client, against potential wrongdoings by the attorney. San Diego County, home to over 3 million, is California's second most populous county. San Diego County is made up of 18 cities, including San Diego, Chula Vista, Santee, Del Mar, Encinitas, El Cajon, Imperial Beach, La Mesa, Escondido, Lemon Grove, Oceanside, San Marcos, Poway, National City, Coronado, Solana Beach, Carlsbad, and Vista. The city of San Diego is known as "America's Finest City" and attracts tourists from around the world. San Diego is also home to many reputable universities and colleges, including San Diego State University and The University of California San Diego. San Diego has a diverse business community which includes, large manufacturing, small manufactures, agriculture, tourism, Government and a larger service sector. San Diego is also home to one of the largest ports on the west coast. From a legal perspective, San Diego County is unique due to the fact that it lies on the border between the United States and Mexico and is home to 16 U.S. military installations, including the U.S. Navy's base in San Diego and air station on North Island, and the U.S. Marine Corps' Camp Pendleton. The board and the port generate a large amount of commercial transportation. The largest tourism industry brings in many out of county and out of state visitors. The United States Bankruptcy Court for the Southern District of California is located in the city of San Diego and serves San Diego County and neighboring Imperial County. The Superior Court of California - County of San Diego, and its affiliates courts, handle matters involving criminal law, civil law, family law, traffic violations, and probate. If you or someone you know needs legal assistance in San Diego County, Attorney Search Network can help you find a screened San Diego County lawyer. Finding an experienced lawyer who has at least 5 years case work in their field of practice is important to the outcome of your case. Attorney Search Network is a free and easy to use legal referral service facilitating easy access to pre-screened San Diego lawyers who are best ready to help with your legal needs. Attorney Search Network is a State Bar of California certified lawyer referral and information service serving San Diego County, and other counties in California. We prescreen our panel member lawyers. Attorney Search Network panel member attorneys need to have 5 years of expereince, carry minimum levels of insurane, have recent trail experence and have a clean record with the State Bar of California. You can feel comfortable and confident that any lawyer you are referred to through Attorney Search Network has the passion and experience necessary to represent your interests successfully. The right legal representation can help protect your interests and provide you with guidance regarding your legal rights. If you have a legal issue to resolve, Attorney Search Network can help you locate a local lawyer that can consult with you and represent you in the legal system. For most people, contact with a lawyer only takes place during crisis situations. In fact, 80% of Americans surveyed do not seek out legal representation when they have legal problems because they do not know what kind of lawyer to contact. Our lawyer referral service is one of the many ways we help bridge the gap between the general public and the legal community. The Attorney Search Network staff will help you determine the type of lawyer you need and will make a referral. Perhaps, your legal issue does not require the assistance of a lawyer. In this case, you can be referred to other legal service organizations, governmental agencies, and community resources that might be able to help you resolve your issue. Finding an ethical, client-focused lawyer is now only a matter of a few simple steps. All you need to do is call (800) 215-1190 or complete our Lawyer Referral form. To make a lawyer referral we require an area of law, your location, language requirements, phone number, email, name, and any other special needs. There are lots of different types of lawyers. Make sure you choose the right type of lawyer for your specific needs. Make sure that you understand the attorney fee agreement before you sign it. Make sure that you receive the kind of customer service that you deserve from your lawyer, both when you are signing on and for however long it takes to resolve your issues. At Attorney Search Network the referral is free, the lawyer will charge their normal rates. Rates vary by lawyer and types of payment are dependent on case type. We are committed to helping you protect your individual interests and legal rights by referring you to credible and experienced lawyers who can give you the best chance to resolve your legal issues successfully. Attorney Search Network is committed to building and maintaining a panel membership of San Diego County Lawyers, who take cases in every area of law and are committed to positive client outcomes. Whether you have been injured in an accident, need a will prepared, buying or selling property, or starting a business in San Diego County, having the right lawyer to assist you is essential. Attorney Search Network has lawyers who practice in most areas of law and who speak a variety of languages. Let us refer you to a pre-screened San Diego County lawyer. Call Attorney Search Network toll free at (800) 215-1190, or visit our contact page to arrange an initial consultation. Your feedback helps us create a better lawyer referral service. We have worked hard to ensure that we refer the best possible lawyers in the San Diego Bay Area. As a result, we have a perfect "A+" rating with the Better Business Bureau. If you have any questions about the information provided above, please contact us. Call Attorney Search Network toll free at (800) 215-1190 or fill out our online form for a San Diego County lawyer referral.